So there will be 9 sweet random prizes for the Mama’s Been Drinking Super Awesome Second Edition book launch contest on Thursday and two bigger prizes. First Prize: I will come visit you and buy you a beer sometime in 2017. (Depending on how much you like beer or wanna hang out, this could be considered an awesome Prize, or a “No thanks, I’m good” Prize. Super Awesome Grand Prize: (Drum roll please…..) an iPhone 6 Plus. Gotta go enjoy the snow in Mammoth for a few more hours before heading back to the coast to finish my book. Oh, man, I was wanting that big chicken as my prize! I’d look great on my patio…..
Are you sure? 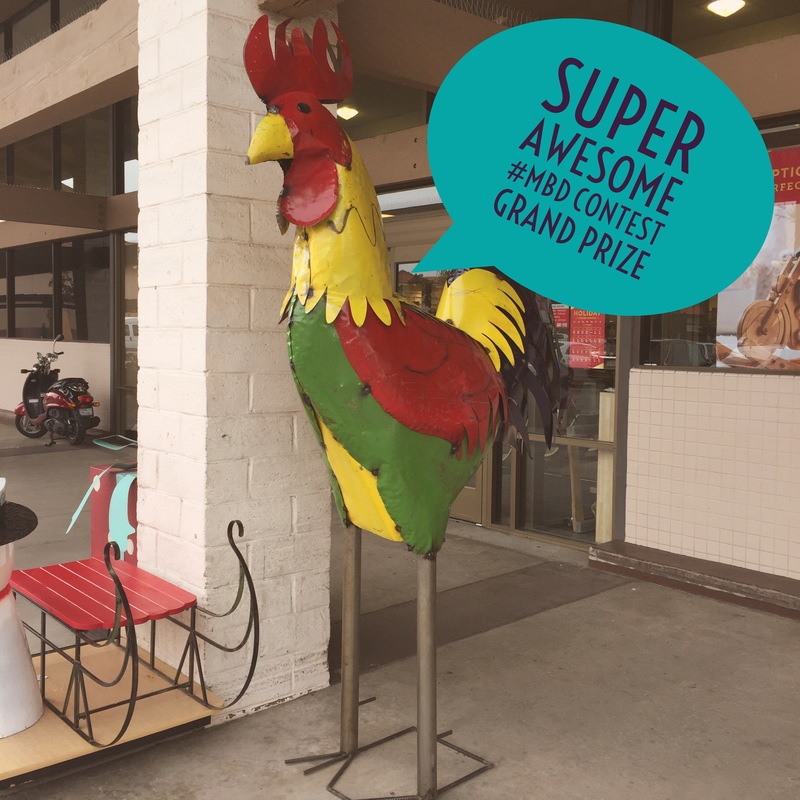 I might be able to make this giant chicken thing appear on your patio.